The Lakeland Climbing Centre in Kendal has just won the Silver Award for Small Visitor Attraction of the Year at the prestigious VisitEngland Awards for Excellence 2012, less than a year after a major expansion of its facilities. This, in conjunction with winning the Cumbria award earlier in the year, puts it firmly on the map as a recognised, quality visitor attraction and elite sporting venue. 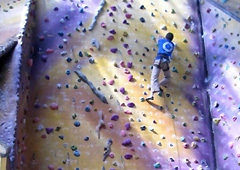 The centre has the tallest indoor climbing wall (25m) and some of the finest bouldering walls in the country. Muncaster Castle, also in Cumbria, picked up a Silver Award for Large Visitor Attraction of the Year, and a Silver Award for Tourism Experience of the Year went to Via Ferrata at the Lake District’s Honister Slate Mine. At the weekend, I had the honour of accompanying a friend from Kendal on the fifth and final leg of the Bob Graham Round. For those that aren’t familiar, this is a fell running challenge of epic proportions, that starts and finishes at the Moot Hall in Keswick, Cumbria. It’s a 60-66 mile run (depending on your route), taking in 42 peaks and around 27,000 feet of ascent, all to be completed in 24 hours! To put this in context, more people have scaled Everest than successfully completed the Bob Graham Round. I had the easy option – a 10-mile run from Honister to Keswick, taking in the peaks of Dale Head (2,470 feet), Hindscarth (2,385 feet) and Robinson (2,418 feet). Probably the easiest of the five legs when taken in isolation, but not of course if you’ve already just done the first four which include a number of peaks of over 3,000 feet (Skiddaw, Helvellyn, Scafell and Scafell Pike). The weather was fantastic – though possibly not perfect for a Bob Graham attempt since it was so warm – and the views were spectacular. And, I’m pleased to say, my friend made it in the 24 hours so he officially becomes a member of the Bob Graham 24 Hour Club. In fact, he did extremely well, completing the challenge in just 21 hours and 23 minutes. We’d like to express a big ‘thank you’ to all our guests who have stayed with us and then subsequently written an online review of our accommodation. As a direct consequence, we’re now proud to announce that we’ve become the highest rated holiday rental property in Kendal on the popular Tripadvisor travel review website, occupying the #1 position out of the 38 properties listed. 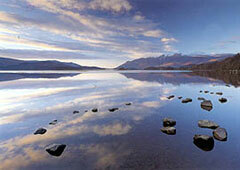 We are also now listed in the top 10 (8th position) out of the 720 properties listed for the whole of Cumbria. Thank you! 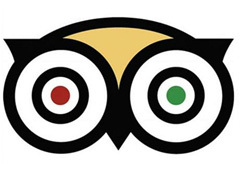 Anyone wishing to read our Tripadvisor reviews may do so by clicking here. Cinema-goers will no doubt remember the Miss. Potter film a few years ago, which showed many a Lake District scene. Well, now the Lake District is set to make another appearance on the big screen, in the blockbuster film Snow White and the Huntsman, starring Kristen Stewart and Charlize Theron. If you watch the trailer below, you’ll see footage of the Langdale fells at 2 minutes 22 seconds in. The film, which is a new take on the traditional Snow White story, shows off Cathedral Cave, in Little Langdale, Blea Tarn and the Langdale Pikes. 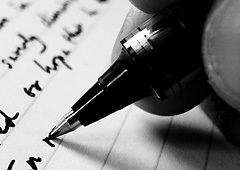 It is showing at the cinema in Kendal’s Brewery Arts Centre from 1st June 2012, as well as cinemas nationwide.